If you do not live in a major city or near to one of the few grocers who pride themselves on their collection of olive oils it is becoming very difficult to source first class extra virgin olive oil. The answer could be a producer’s website but it can be time-consuming looking for those with good mail order services. In addition you only get one producer’s oils to choose from. 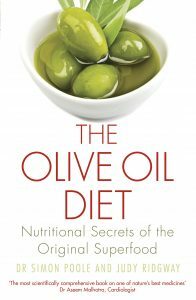 However, over the last year or so I have observed a number of keen lovers of olive oil sourcing oils from around Europe and setting up their own mail order websites. These have the advantage of offering a choice of oils from different regions and in different styles. Greybe Fine Olive Products is a new company that is interested in doing things a bit differently. They are committed not only to organic farming methods but also to sustainable business practices and to giving something back to local communities and to the planet. They have set up partnerships with a select group of producers of first class extra virgin olive oil and other olive products in Greece and in South Africa. The aim is to bring discerning customers an exciting range of exclusive products. That three of these producers are Greek may have something to do with the fact that during his travels in Greece, looking for the best oils, David met a growing number of younger members of olive oil producing families who no longer wanted to sell their beautiful oils at knock-down prices to the Italians “cash in hand”, but prefer to try and develop their own premium quality international brands. This extra virgin oil comes from a very small Italian family producer who bought an olive grove in south west Peloponnese, Greece, with only 250 olive trees at present, but it has won a clutch of international awards this year, including a Gold at BIOL 2016. 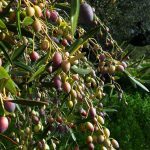 Based in Messenia in the western Peloponnese, the oil is pressed from Koroneiki olives. I have now tasted this oils and it does indeed pack the kind of spicy punch which you would expect from an oil which has as high a polyphenol content as this one. It comes in at 822mg/kg. The aromas are also very appealing with plenty of grass and culinary herbs. Doloi is the name of a village in Kalamata region of the Peloponnese from which this extra virgin oil takes its name. The Koroneiki olive grove has been in the Makris family for over 250 years. Like Argali it has won a number of international awards this year. The Deleon Premium has a pleasantly herbaceous aroma with grapefruit and a very distinctive taste in the mouth with brassica’s, asparagus and berry fruits. As well as the Premium oil, The Nature’s Icons range includes a DOP Kalamata oil, as well as a number of flavoured oils. This is a dynamic company which is presently in the final stages of obtaining organic certification for its olive grove. The Bläuel family has been working with small farmers in the Mani region in the southern Peloponnese for over 30 years, promoting sustainable organic olive farming. Today over 300 families have converted to traditional organic olive cultivation practices, thanks to the innovative Mani Bläuel company. These families contribute Koroneiki olives to the Mani Natureland and Fair Certified extra virgin oil. I have not tasted this particular oil but the Mani oils are usually very elegant and fruity in style. The Mani range on this website also includes flavoured oils, cured table olives and some mese items like sun dried tomato and capers. This award winning South African extra virgin olive oil makes up the quartet of David’s producers. The Rabie family have been farming Willow Creek in the Muy Valley since the late 1700s. The olives are a relatively new venture dating from 1999 but Willow Creek is now one of the largest olive farms in South Africa. 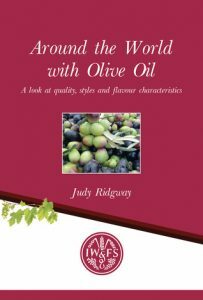 The mainly Italian olive varieties are blended to produce the Willow Creek Estate Blend, Director’s Reserve and a range of flavoured oils. This is another milti-award winning estate with first class herbaceously fruity oils on offer. This is the only place you will find them on sale in the UK. In addition a part of every sale at Greybe Fine Olive Products goes towards: 1) the Willow Creek socio-economic development programme, and 2) a certified carbon offset programme (with Carbon Footprint Ltd – http://www.carbonfootprint.com/) in Uganda providing cleaner cookstoves via a social impact community project catering mostly for women. Having decided on the producers, David’s next step was to set up the website and this has only just gone live. However it seems to be working well. I sent a message via the contact page and received a reply the next day. Watch out for details of another good olive oil website next month.